Potty training would have to be one of the most stressful things a parent and child must go through. Some kids get it straight away, others, not so quick. There are weeks of sticker charts, wet patches, smelly accidents and stinky knickers. With a little determination from all parties it usually all works out in the end. But most parents will never forget the dreaded words “Mum, I need to pee right now” — usually as we’re standing in aisle 6 with a full trolley of groceries! Small children often don’t realise that they need to go until it is almost happening. It’s just how it is sometimes. No matter how many times we ask our children if they need to go to the toilet before we leave the house, accidents happen. And sometimes your best option is to just pull over and let your little person go beside the car. It’s not the end of the world. This is exactly what happened to a mum in the US. 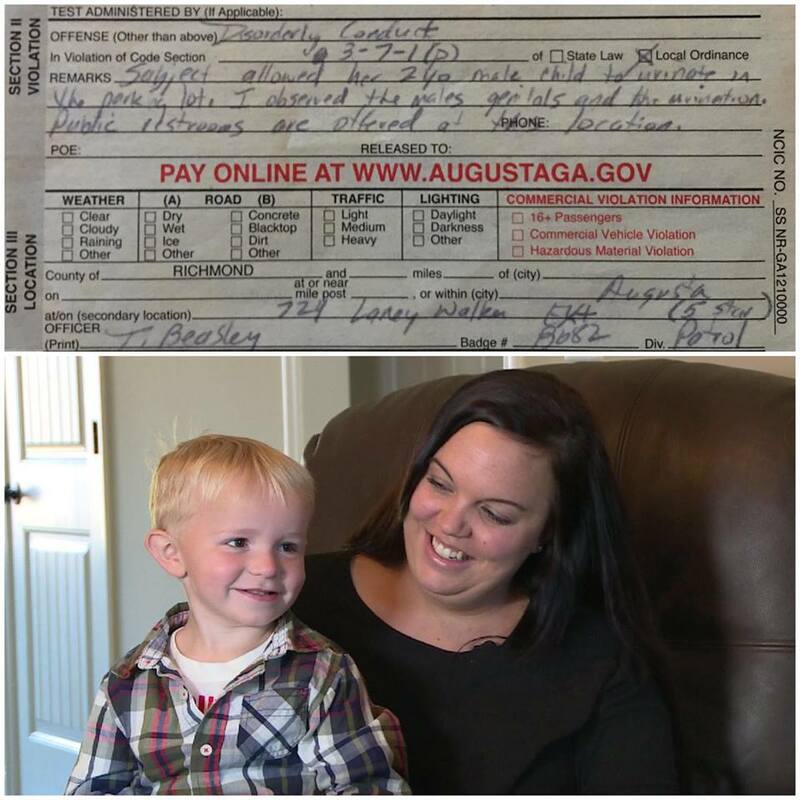 Her 3-year-old son told her that he needed to pee right now so she did what she could for him at that moment, resulting in a citation from a police officer who was standing nearby. 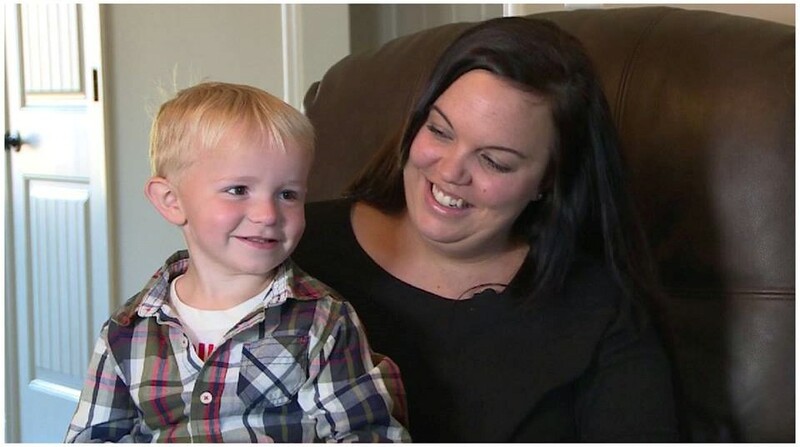 Brooke Johns, who is eight months pregnant, was driving along when she heard the sweet little voice of her son Cohen in the backseat saying that he had a big problem. “He’s like, ‘Mum, I’ve got to pee. I’ve got to pee!’ I was like, ‘Well, hold on,’ and he’s like, ‘No! I’ve GOT to pee! I’ve got to REALLY pee.’ And I’m like, ‘Baby, there’s nowhere for me to go, and he says, ‘Momma, I’m about to pee in my pants!” Brooke said. Brooke said they barely made it to a service station parking lot before she realised they wouldn’t be able to make it inside. 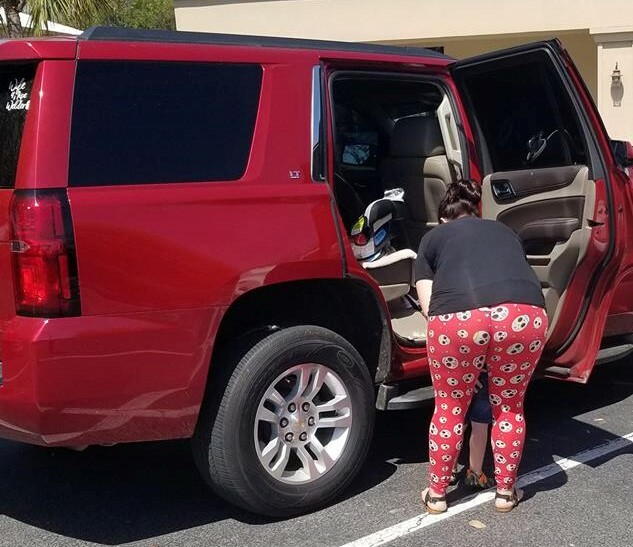 So, covering up Cohen as best as she could, she allowed her son to do a little wee right there in the parking lot. Apparently, this caught the attention of a local deputy police officer, and he was not happy. If convicted, the heavily pregnant mum faces up to 60 days in jail and a USD$5,000 fine. After her story was shared by local media, Brooke took to Facebook to defend her decision, stating that she had to find a safe place to pull over out of traffic after crossing a bridge. She even staged a re-enactment to defend her decision. For what it’s worth, I think Officer Petty could have found some other way to make up his quota of tickets served that day. Could he not have given her a warning if he found this so abhorrent that he couldn’t keep his mouth shut? We’d like to wish Brooke all the positive vibes in the world for her upcoming hearing and the impending birth of her second baby. You got this, girl. Previous articleTori Spelling Receives Backlash After Posting Innocent Photo Of Her Daughters On Instagram!